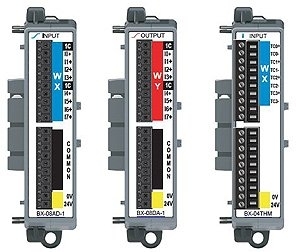 Programmable logic controllers have to reliably execute the many logic operations and communication requests that modern day industries require. 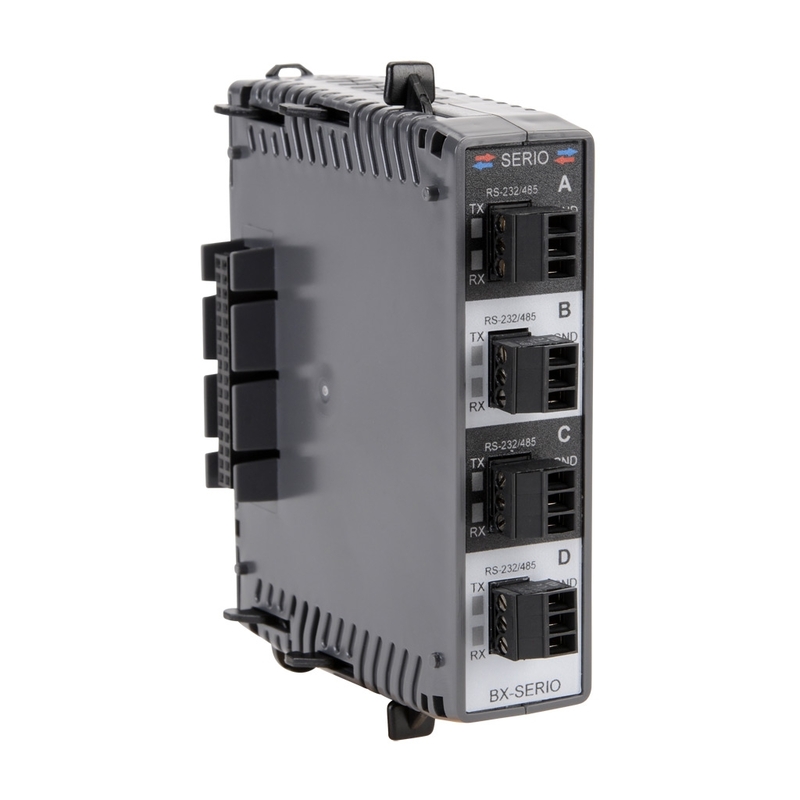 The BRX series controllers provide the data logging, motion control, high speed I/O and processing power, with customisable communications, to meet the changing demands of industrial automation projects. BRX POM Communications Module - BRX POM communications module, CPU plug-in, RS-232 (RJ12) port, with Do-more protocol, Modbus RTU Master/Slave, ASCII In/out and K-Sequence Slave protocol(s). 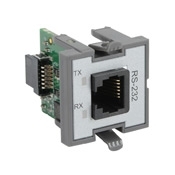 BX POM RS-232 3pin - BRX communication POM module, 1 port, buffered, (1) RS-232 (3-pin terminal) port(s). For use with all BRX MPUs. BX-RTB03S terminal block included. BX POM USB Type B - BRX communication POM module, 1 port, (1) USB B port(s). For use with all BRX MPUs. BX POM Ethernet 10/100 - BRX communication POM module, 1 port, (1) Ethernet 10/100Base-T (RJ45) port(s). For use with all BRX MPUs. 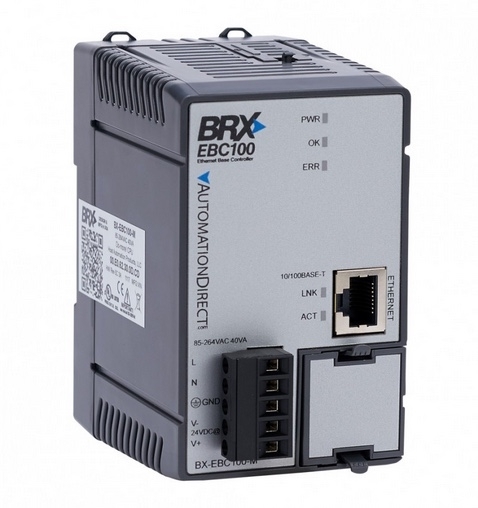 BRX Do-more I/O controller - BRX Do-more I/O controller, (1) Ethernet 10/100Base-T (RJ45) port(s), Do-more I/O controller protocol, up to 100 Mbps, external 120 VAC required. 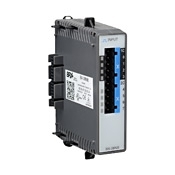 BRX Do-more I/O controller - BRX Do-more I/O controller, (1) Ethernet 10/100Base-T (RJ45) port(s), Do-more I/O controller protocol, up to 100 Mbps, external 24 VDC required. BRX blank custom slot labels - BRX blank custom slot labels, package of 10. For use with 18-point and 36-point BRX PLCs. (10) labels and (1) custom label slot cover included. BX 3pin TmBk 90-dg screw - BRX terminal block kit, 90-degree screw type, replacement. For use with BRX 18-point PLCs. Includes (1) 3-pin 5mm terminal block. BX 3pin TmBk 180-dg spring - BRX terminal block kit, 180-degree spring clamp, replacement. For use with BRX 18-point PLCs. 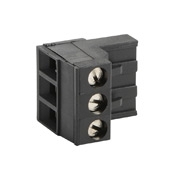 Includes (1) 3-pin 5mm terminal block.